Chihaya Ayase’s sister, Chitose, is a super model, of course, everyone in high school expects the same from her younger sister. Chihaya is good looking and has an energetic personality, but somehow she hasn’t met the expectations of her sister’s fans. 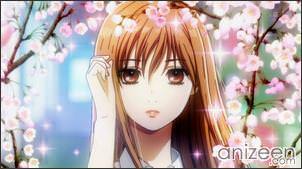 Instead, Chihaya is considered to be strange, especially because she is trying to start up a karuta club. Kuruta is a game where you have to be able to quickly determine which card, out of an array of cards, is required and then to grab the card before it is grabbed by an opponent. Chihaya is having a hard time, no one is interested in the card game and she seems to be lonely. Fortunately for her, a childhood friend, Taichi Mashima, appears in front of and makes everything much easier. 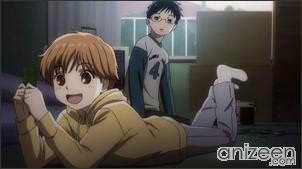 Both, Chihaya and Taichi, learnt to play kuruta during their elementary school days. 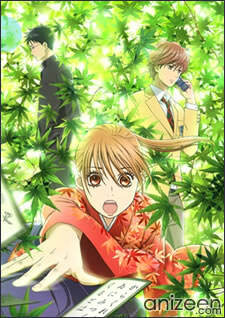 They start playing with a transfer student, Arata Wataya, whose grandfather was a master kuruta player. 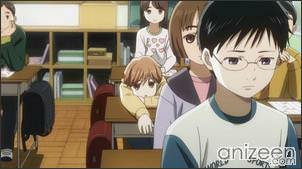 While they were kids, Chihaya met Arata, who was often picked on in class for being poor. 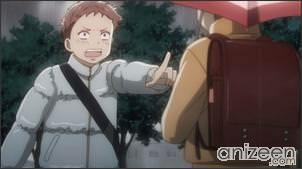 On one rainy day, Arata is delivering diaries, he delivers a copy to the Ayase family, to his surprise, Chihaya is waiting for it in the front door. 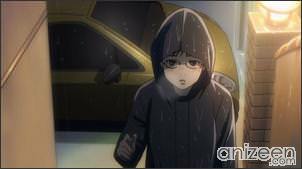 She doesn’t recognize Arata and runs inside, during the day Chihaya realizes that Arata delivered the newspaper and is astonished. 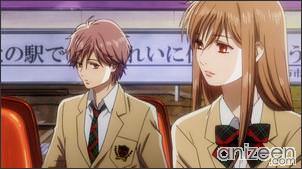 Chihaya approaches Arata and talks to him, but Taichi is jealous and pushes Arata to the ground. Chihaya responds punching Taichi and tells him not to bother anymore. 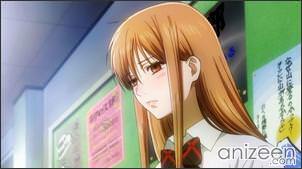 Chihaya visits Arata’s place, where he asks her why she was waiting for the newspaper in the morning. 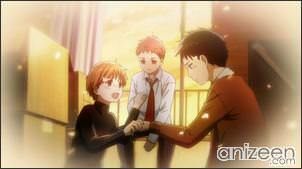 Chihaya tells him how great is her sister, and how she dreams to see her one day as the best model in Japan. Arata tells her that she must groom her own dream and not to cling on her sister’s. While talking, Arata finds out that his new school has a kurata tournament and that Chihaya can play. 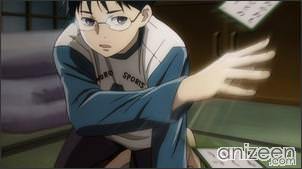 Both kids start playing, and Chihaya sees a huge change in Arata’s personality, he is determined to win and Chihaya doesn’t want to lose either. In the end, Chihaya is able to win only one card to Arata, she is a bit frustrated, but when Arata tells her that he had so much fun, she feels better. Now, she has learnt about Arata’s passion about this card game, and starts thinking she can also have her own dream. Chihaya Ayase is a determined schoolgirl who possesses a remarkable hearing ability. She believes that by persevering in karuta, she will meet Arata again, and begins a karuta club at her high school with Taichi Mashima. She is considered weird by her classmates, they refer to her as a “waste of a beauty”. Chihaya is extremely childish, and when she was younger, looked very much like a boy due to her short hair. She has a pronounced sense of right and wrong, which causes her to befriend Arata when the other kids made fun of him. 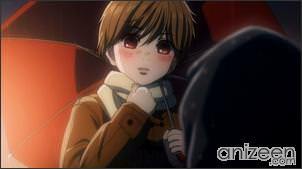 Arata Wataya is a transfer student to Chihaya’s elementary school, grandchild of a master karuta player, Arata inspires Chihaya to take up karuta. He has difficulty fitting in at Chihaya’s elementary school because of his Fukui dialect and passion for karuta, but Chihaya befriends him. His dream is to become a karuta Meijin. After graduating elementary school, he returns to Fukui to care for his grandfather. Chihayafuru (ちはやふる) is a manga series written and illustrated by Yuki Suetsugu, serialised in Be Love and published by Kodansha. The manga has won the Manga Taisho Award and the Kodansha Manga Award. An anime adaptation by Studio Madhouse began airin on October 5, 2011.